Traveling with kids is not always easy or cheap, but you can make it a bit easier on yourself by planning ahead. No last-minute packing or planning, because it can definitely mean the difference between a great flight and a terrible one. I can help you save money and sanity on all your future family travels. Here are just a few ways to make the most of your trips and keep everyone as happy as possible. Kids are super-adaptable, but it does help to explain things to them. Traveling is kinda weird when you think about it. You stand in line to go through security, where people judge you and look at all your stuff, then you wait to get herded into a big metal room, where you strap yourself in and the air pressure is all funky and makes your ears hurt on occasion. It's sort of like being in the car, but with 200 other people and you can't get out when you need to stretch your legs, but there's a bathroom. Crazy, right? Explain to your kids what they'll be expecting, and more than once. It's better for them to be excited that they're flying than for them to be freaked out and hate every second of your journey. Not only will you also hate it, so will everyone on the airplane. 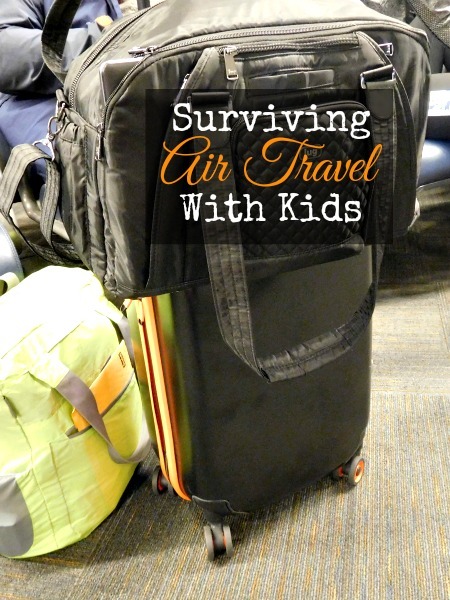 If you have smaller children, you have the luxury of traveling all year long. With this in mind, avoid traveling in the summer. Summer is easily the busiest and most expensive time to plan a vacation. If a beach or other warm-weather location is your destination of choice, plan a trip in the spring. 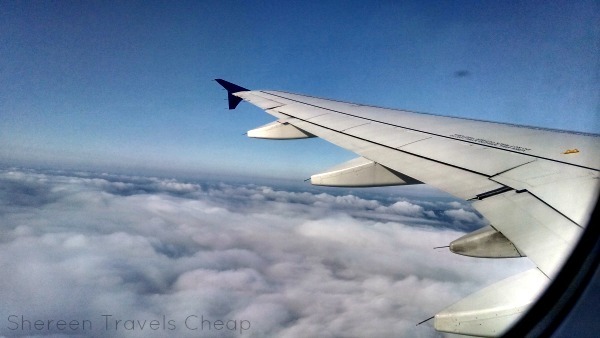 Springtime is always less crowded and one of the best times to find sales on both airfare and hotel rates. If your children are in school, wait until Christmas break to make your journey. If you fly on Christmas Day, you can get rock-bottom airfare, since most travelers want to be at their destination by that day and it’s one of the lightest travel days of the year. Children under the age of 2 fly for free if you aren't opposed to them sitting in your lap the whole flight. Probably not so doable on a trip across the Atlantic, but not too bad on a flight that's only a few hours long. Babies are easier to deal with this way and if they get cranky due to air pressure changes, feeding them does wonders, because they're constantly swallowing. Kids always want to eat when it isn't snack time and can get super hangry if they don't get something in their tummy pretty fast. Vacation is no different than at home. Bring snacks on all your plane rides (and outings) to tide them over until it's time to actually sit down and have real food. 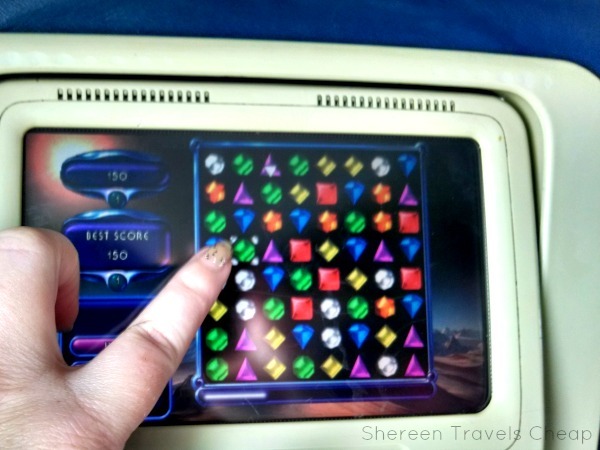 I find that games are a fantastic way to pass time on the airplane, even for us big kids. Have smarty-pants toddlers or kids over 5? 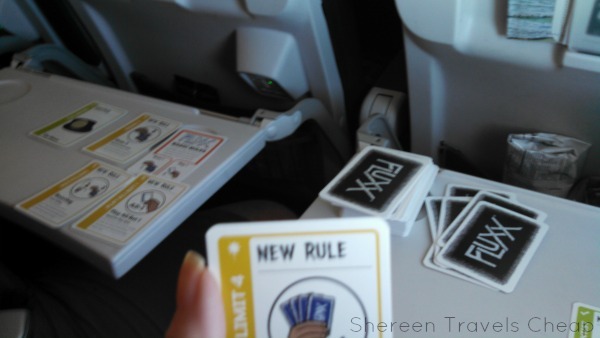 Try Fluxx card game. It’s the game of ever-changing rules that is fun for hours, even if games last just 10-30 minutes. You might also like Zigity. It’s a fantastic game from the makers of Cranium that asks players to spell, add, complete a picture and match objects. The cards are plastic coated, so they are pretty much child-proof. Spills and spit wipe right off! Kids are super tech-savvy now. If yous are too, then make sure you load up your tablet with games, videos and books they'll love. A long flight can fly by when they have everything they need at their fingertips. Don't forget a back-up battery to keep it charged and headphones, because as happy as everyone will be that your kids are entertaining themselves, they'll be less happy if they have to hear Dora the Explorer at full blast, because that's how your little one likes to watch it. I know that with kids it’s hard to do this, but it’s not impossible. Each of your children can bring their own carry-on for the plane and help spread around the weight. Whether it’s a small rolling bag that can fit under the seat or a backpack they can wear, they can share the load. While their clothes can be fairly lightweight, everything they want to take from home may not be. Pack as much of their clothes as you can in your own carry-on (Spacebags or Pack-It cubes may help) and then have them carry any spillover and a few things from home in their own bag. This might be some small toys, a coloring book and some snacks. 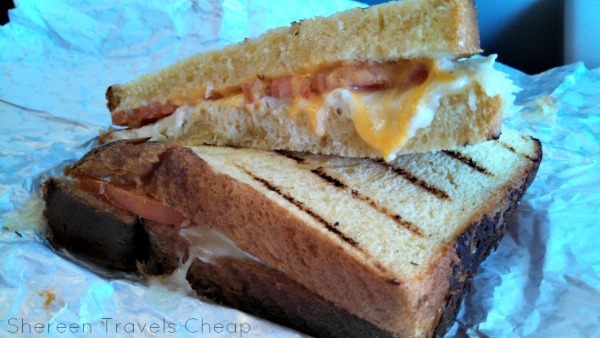 Anything that will make traveling less of a chore and keep the whining at bay. If there is more than one adult in your party, this may be done more easily, and you will have everything with you when you land, saving you checked baggage fees and time waiting for your bags on the carousel. Check out the Trunki ride-on carry-on from Melissa and Doug. It’s fun and functional, plus you can accessorize it, giving your kids another activity to do when waiting around and getting border and border. I want one for ME. When you go anywhere, you probably let your kid(s) pick a few things they can’t live without. As long as it can be reasonably packed and will make it through security, don’t worry if they want to bring 32 miniature cars or their favorite doll or even their pillow. If it makes them comfortable, it will help them be a better traveler. You could pack their clothing in your carry-on and have them bring their “busy-time” stuff in a backpack or teach them responsible travel and buy them their very own carry-on bag that they can use. They’ll feel like a grown-up when they pull their little wheelie case behind them through the airport and you’ll save on baggage fees. Plus, by having them carry their own belongings, they might learn to pack lighter. 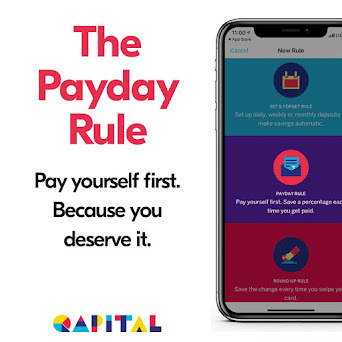 This doesn’t sound money-saving at all, but it can be. Dragging around a stroller and other cumbersome products can be hard, cost you checked baggage fees and may even damage your own items in the process. Sites like BabiesTravelLite have lists for worldwide locations that rent baby equipment from strollers to baby baths. These places often rent equipment for an entire week for less than you would pay to rent them for a day at amusement parks and other places. You can pick them up on your way to your hotel or vacation rental and then drop them off on your way to the airport. You don’t have to juggle extra things at the airport and you won’t have to worry about damage to any of your own gear. Skyrest makes the perfect footrest for children. Okay, it’s really a resting pillow for sleeping or reading, but for little legs that fall asleep from not being able to reach the floor, it makes the perfect airplane ottoman. Nobody likes being kicked in the back for a whole flight and when kids have tingly legs, they are going to flail about. These inflatable rests have removable covers, too, so you can remove it before the flight to keep it from getting dirty from the floor and feet. If your child is on a regular sleeping schedule, see if you can book a flight that will coincide with it and they may just conk out the entire flight. 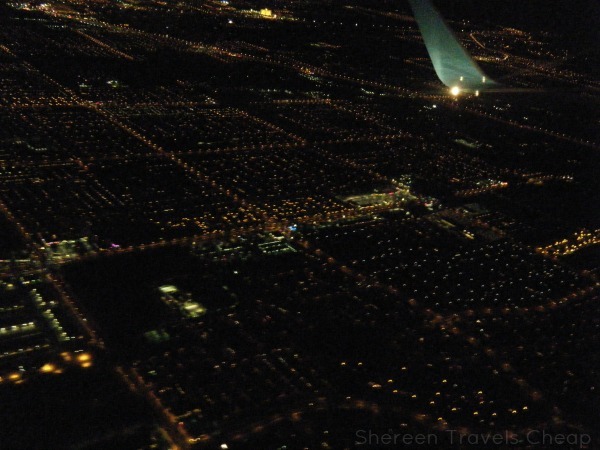 We used to fly the Red Eye often and sleep on the plane overnight and wake up in our destination. 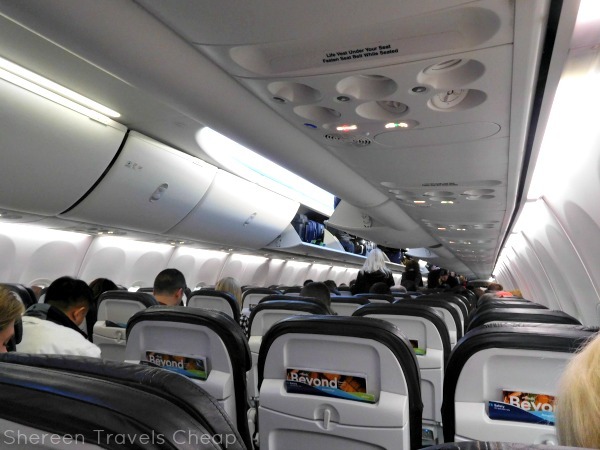 While these seem to be few and far between – or even non-existent – now, you can certainly try to find an available flight that is super early in the morning or even later in the evening. These flights are usually undesirable, which makes them cheaper than the same flight in the middle of the day. Some airports have playgrounds. 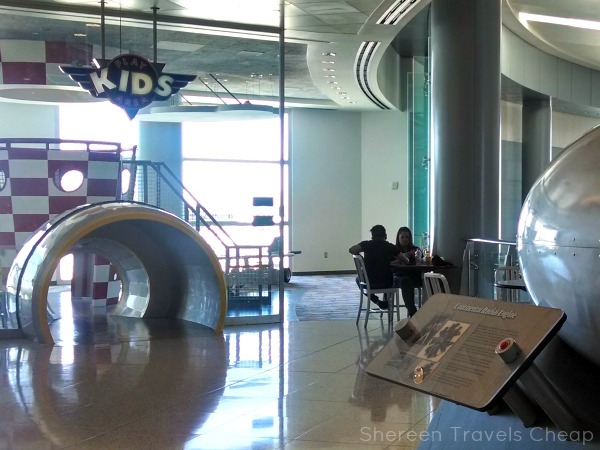 If you're taking off from one or have a layover, then let make a beeline for the closest one (if you have time) and let the kids run and yell and get all their energy out. They'll be less antsy on your flight this way. Just because you have children doesn't mean you can never vacation again or have to pack up the tent and go camping. Of course, I'm not opposed to camping. I did it all the time as a kid, but nothing beats a good old fashioned family vacation. One where you don't have to do all the work and take freezing showers for a week. Sure, traveling with more than two can be hard on your wallet, but you can save on things to make it more manageable.